At Adrian Flux we have a long history of offering classic Triumph car insurance to our customers, covering all classic Triumph cars. With specially conceived schemes for classic car owners, we can offer a high quality Triumph car insurance policy, whether you drive a Triumph Herald, Dolomite Sprint or even a beautiful GT6. Get a fantastic Triumph car insurance quote now. Classic Triumph car insurance is easy to find these days, or so it would appear - but when you dig deeper you often find that the insurance company does not have a realistic idea of the true value of the car, and as a resuly it is too easy to find yourself with a Triumph car insurance policy does not cover your car for it's true worth, even when you get an agreed value. That's one of the reasons why our agreed values for Triumph owners utilise the expertise of the Triumph Sports Six Club, which gives you the peace of mind that you'll be covered for the true value of the car. At Adrian Flux, we believe that classic Triumph owners will typically look after their pride and joy, and most Triumphs will not be used as a daily driver. And because we know this and also offer great deals for the true Triumph enthusiast, giving you superior Triumph car insurance at incredibly low prices. Our staff deal with unusual situations every day, so, unlike most of our competitors, they aren't constrained by computer rates - they also know which insurers offer the best classic Triumph insurance policies with prices to fit your budget. When you call Adrian Flux you will be speaking to a fully clued up enthusiast, based in the UK, and with our tailor made Jaguar car insurance schemes, we believe we offer the best Triumph car insurance quotation service around. 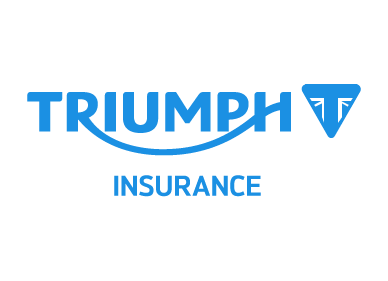 Quicker & Cheaper Triumph Insurance rates over the phone complete the call me form during office hours (9am to 7pm Monday to Friday & 9am to 4pm Saturday) for an immediate, no-obligation Triumph car insurance quote.